Because there is no need complex equipment for culture system, cost of introduction and cultivating is inexpensive. There is no need electricity for nutrient solution supply. Therefore you can culture anywhere, as long as water is supplied. 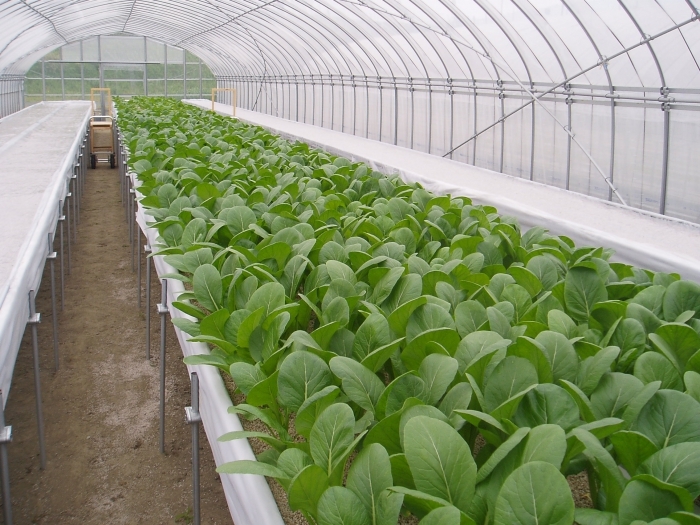 Nutrient solution is supplied only the quantity needed for cultivation. Therefore, there is no drainage. Anyone can easily install. Put styrofoam beds and spread sheet, and fill with culture media. Anyone can cultivate vegetable with our system. Because, culture media, such as coco peat, is used instead of soil. You can combine culture media freely depending on regional characteristics and vegetables. You can use as a organic cultivation system with organic soil for culture media. It is possible to control costs because it is easy to install in the existing green house. Culture medium Pumice stone, Coconut husk peat, Ceramic, Organic soil, etc.